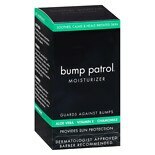 Shop bump patrol Moisturizer (1.67 oz. )1.67 oz. $499$4 and 99 cents$2.99 / oz. 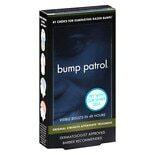 Shop bump patrol Aftershave Treatment (2 oz. )2 oz. $1049$10 and 49 cents$5.25 / oz. 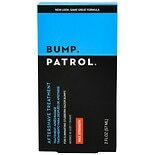 Shop bump patrol Aftershave Razor Bump & Burn Treatment (2 oz. )2 oz.